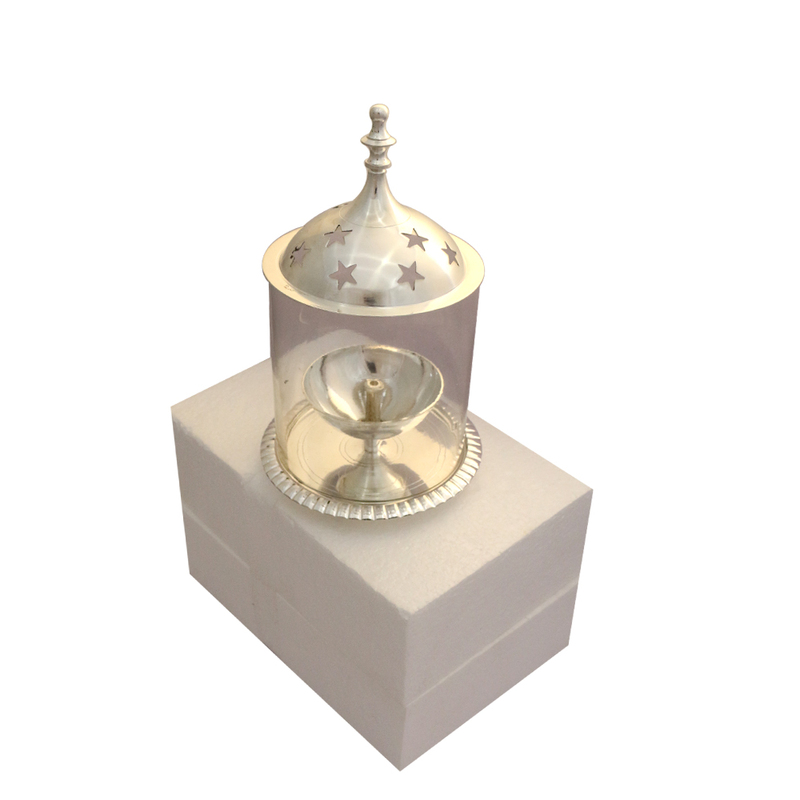 This German Silver Diya with Glass Cover provides the enchanting mix of a metallic body along with a glass cover to make it the cynosure Read More..of all eyes in any room in adorns. The exquisite finish on the diya makes it a sight to savor, while the glass cover helps in making sure that the flame continues to burn for a really long time. 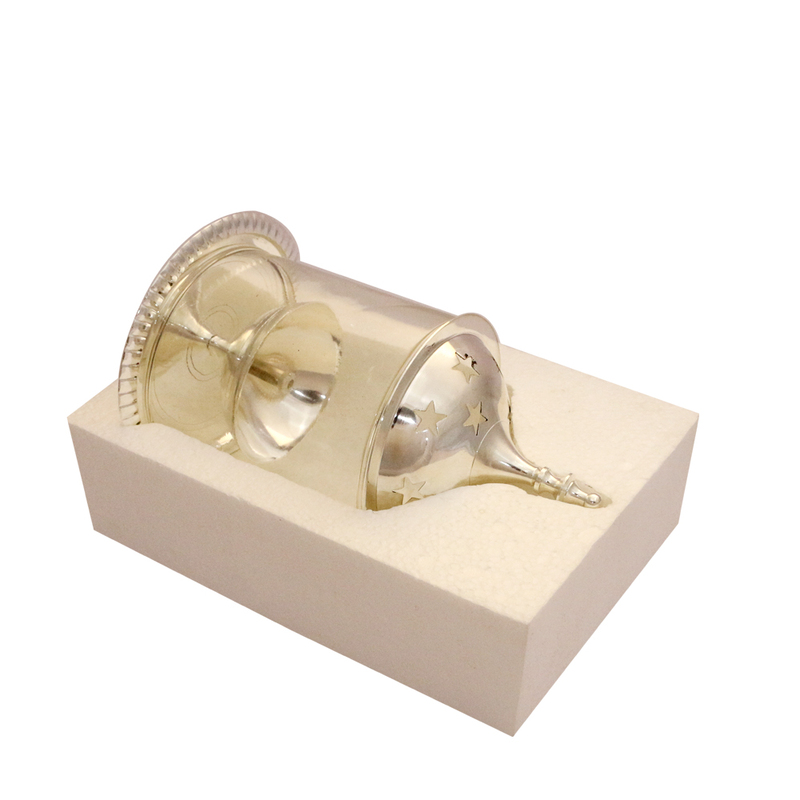 This metal diya will look good in every corner of the household. Show Less..